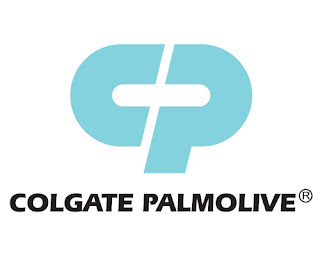 Colgate-Palmolive Philippines was the first company to advertise in color in 1966 when local TV advertising switched from black-and-white to color. The Palmolive Naturals soap "I can feel it" tagline from the 1987 TV commercial, which featured Alice Dixson and her iconic shoulder shrug choreography, was adopted globally in 1991 and eventually won a Pilak Award in 2002, representing the best Philippine ads of the last 50 years. In 2007, Colgate's nationwide Super Mega Brushing campaign earned it a Guinness World Record for most number of children brushing their teeth at the same time. A total of 41,000 students participated in Manila, Cebu, and Davao. The Palmolive Naturals "Bounce" music video, which featured three of the country’s biggest stars: Julia Barretto, Janella Salvador, and Liza Soberano, was hailed as one of the top 10 performing ads on YouTube in 2015. One of the core values of the company is caring for the communities where it is present. The Colgate Bright Smiles, Bright Futures program has been supporting oral health education across the country through free dental screenings and tooth-brushing drills, distribution of oral care kits, and integrating oral health education materials with Kinder and 1st Grade school curricula. This is made possible by the company’s partnership with the Department of Education for nearly two decades. Through its collaboration with the Philippine Association of Dental Colleges since 2001, the company has sponsored various symposia on dental health as well as provided more than 200 scholarship grants to dentistry students nationwide. Colgate has also been an exclusive partner of the Philippine Dental Association’s annual Kabarangay sa Dental Health Program, raising oral health awareness all over the country through free dental check-ups and product sampling. As part of its 90th-year activities, Colgate-Palmolive collaborated with Puregold to support Operation Smile Philippines, and an NGO focused on providing free surgeries to indigent children afflicted with cleft lips/palates; as well as Robinsons Supermarket to help raise funds for World Vision Philippines, an NGO that provides assistance to impoverished children. Colgate continues to be the Oral Care brand most recommended by Dentists* and Palmolive remains to be the #1 Personal Care brand, in the Philippines**. Colgate-Palmolive Philippines is a company focused on the distribution of household products and personal care products, such as body cleansing, hair care and oral hygiene products (including toothpaste, toothbrushes, and professional oral care products sold by dentists). Currently, the company carries the following brands which are available nationwide: Colgate, Palmolive, Tender Care, Gard, Ajax, and Axion. Our three fundamental values — Caring, Global Teamwork and Continuous Improvement — are part of everything we do. They are the foundation for our business strategy and are reflected in every aspect of our work life. Colgate-Palmolive celebrates 90 years of operations in the country on October 26, 2016. The company's corporate office is located in McKinley Hill, Taguig.